Good thing I’m not in a race for any land speed records .. I’m just frittering away at the motifs .. Took me over a day to decide what quilt to do first! 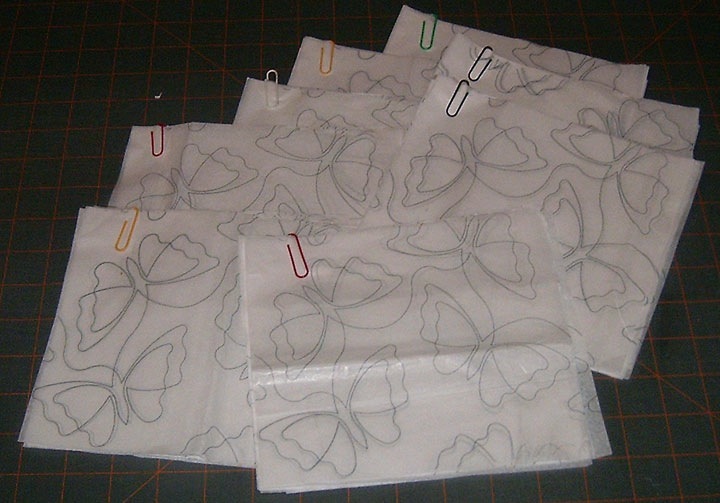 I actually had my motifs all picked out for both of them, as well as being all set to print to the tissue paper. It was just a matter of cutting the paper and printing. Well you know there’s math involved of course – I want to get the most motif sheets out of each sheet of paper and 20 x 20″ is an awkward size to work with it. Plus I wanted to be sure that I had enough for both. I finally opted to do Hopscotch first – mostly because this one used the most sheets and my motif sheets were bigger and involved some ‘interesting’ cutting. Seems to rather be the case with me, doesn’t it??? For this one, I couldn’t settle on a border motif – and rather wanted that squared away before I started to cut paper. Granted the border is 3″ wide, but I was also entertaining the thought of doing edge-to-edge with this one .. never done that before and the idea rather intrigued me. I’ve been thinking all along of this quilt as a summer type one .. colours, name, motifs – and the fact it rather defaulted to a really thin batting :\, and no summer scenes intrigued me enough for the borders – unless I put butterflies in the borders and a beach, summer or garden scene in the main body .. but naw .. just did butterfly borders for the kitties .. and i love the way this one flits along my quilt top. I’ve added a new tutorial for printing on tissue paper – figure this will save me retyping it out 🙂 Hope it helps you! Great job! Thanks for sharing your process. 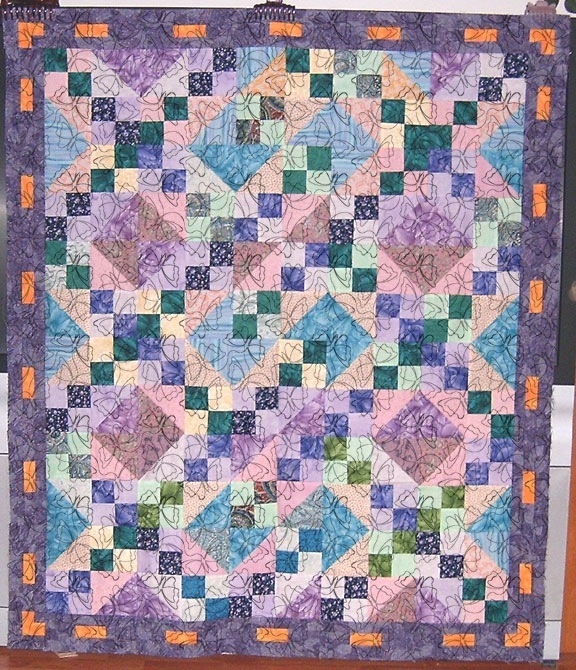 Beautiful quilt, love the butterflies. How do you like the thread?